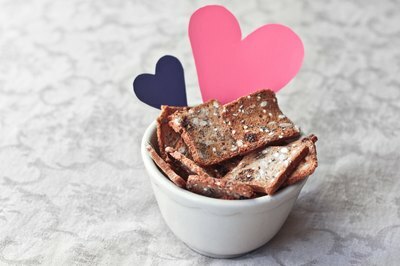 Touch your boyfriend’s heart with a homemade gift for his birthday. Demonstrate your affection for him by making him a romantic gift from the heart. Homemade gifts can save you time and money, as well as personalize the romantic gift to your significant other that he will remember for years to come. Plan a romantic meal for your loved one by preparing his favorite meal. Put the meal into plastic containers and pack a picnic lunch. Make him some desserts, such as homemade cookies or brownies. Take your boyfriend to a park and share the home-cooked meal with him for his birthday. To add to the picnic, take a bottle of wine and some wine glasses. Write him a poem and read him the poem while he is eating his favorite meal. Take a radio and play soft music, while enjoying each other’s company. Find a large clear jar with a lid and paint or decorate the jar. Write, “Happy Birthday,” on the jar and be sure to be the date for memories. 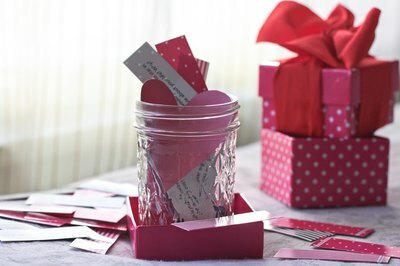 Fill the jars with slips of paper that have several of your memories with him. You can write memories on the slips of paper, put pictures in the jar or any kind of memorabilia that reminds the two of your of your relationship. Tell your boyfriend how much he means to you. Type and print several love quotes to put in the jar. Make your boyfriend a homemade gift basket of all his favorite things. 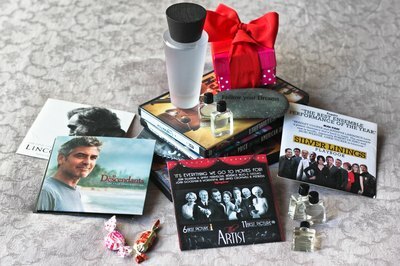 Include items such as his favorite cologne, candy, music CD and movie. 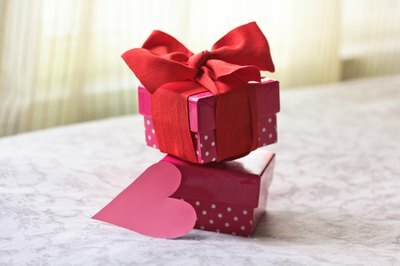 Put a homemade coupon book in the basket with coupons like “Good for one back rub” or “Good for a home-cooked meal of your choice.” Fill the basket with shredded “Happy Birthday” wrapping paper, and don’t forget the romantic card. Create a romantic scrapbook of all your memories with your boyfriend. Include any photos of the two of you and write love quotes under the photos. Attach love stickers, funny sayings and write about any memories you have about each picture. Cook your boyfriend dinner and present him the scrapbook when you have finished eating. Have a calendar printed with pictures of the two of you for each month. These calendars are available online and at many retail stores. 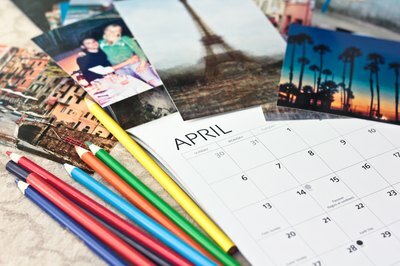 All you have to do is take the pictures and decide which picture you want for which month.